Introducing the Flipbac Angle Viewfinder and LCD screen protector for digital cameras. This camera accessory will help you take some great images - snap photos without kneeling, take candid portraits without hiding your face behind a camera, or capture a classic portrait. 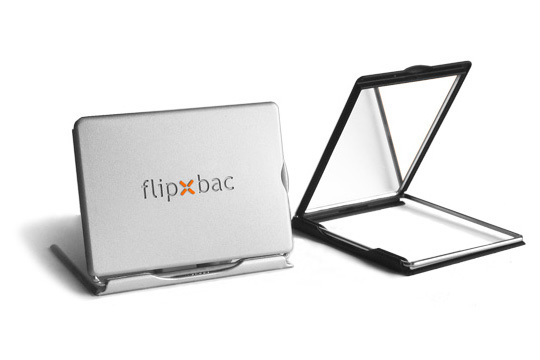 Whatever the situation, the Flipbac offers you and your pictures unique perspective. Easy low angle or ground level shooting. Shoot accurately from unique positions: ground level, waist level or overhead. Excellent LCD screen protector when not in use. Opens to more than 180 degrees in both landscape and portrait positions. US$17.49, plus US$5.49 shipping worldwide. Have you seen our Flipbac Camera Grips? The Flipbac Angle Viewfinder is shown here on a Canon G9, however, it will fit on hundreds of cameras. See our Camera Models page for details.